← Ham radio Field Day is Saturday, June 28th! Wanted to call to your attention an article about the emergency hub network in Crosscut that came out yesterday. They interviewed Cindi Barker, founder of the West Seattle Emergency Communication Hubs, who is also on the leadership team that is working to establish hubs throughout the city. It provides a good overview of how the hubs operate, as well as some of the challenges faced by different neighborhoods! FYI, you can find more info about our West Seattle hub network in the About the Hubs section of our website. We have more details about hubs in Other Communities in the Resources section of our site. 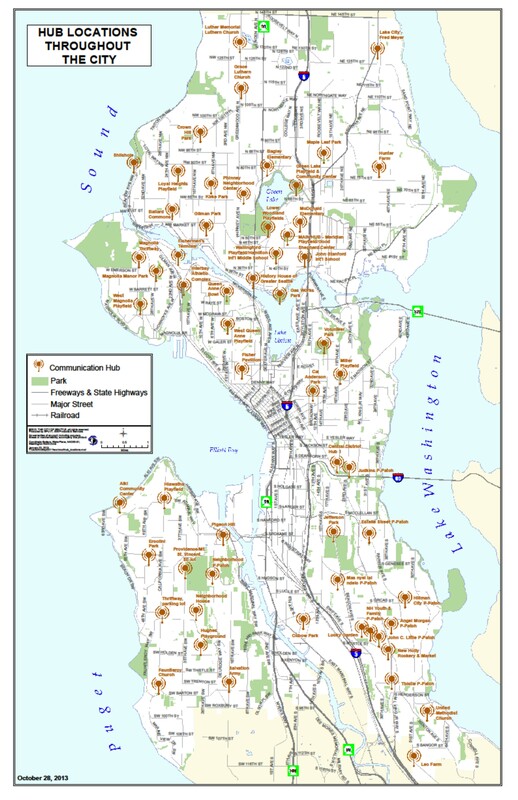 This entry was posted in Announcements, Earthquake Preparedness, West Seattle Be Prepared and tagged Cindi Barker, disaster preparedness, emergency communication hub map, emergency preparedness, West Seattle Emergency Communication Hubs. Bookmark the permalink.